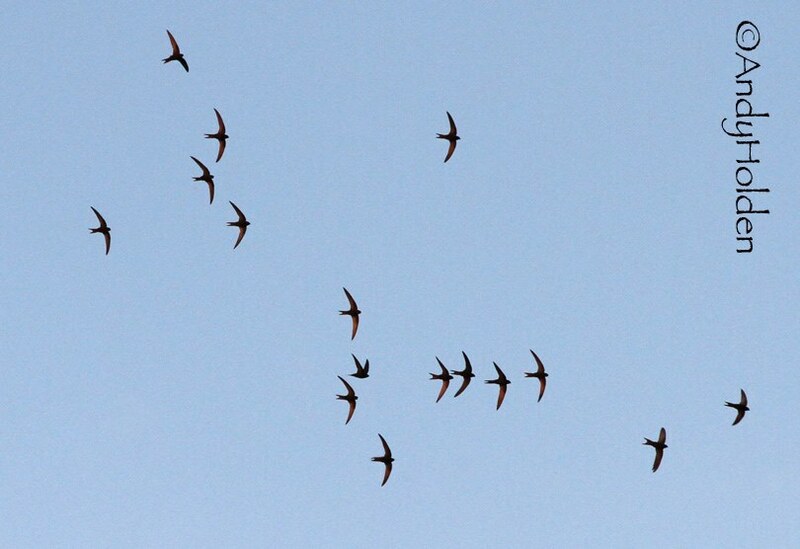 We counted at best 23 Swifts tonight and these were for the most of the time extremely high in the sky towards the back of the Coaching House. Although there were odd parties of birds actually chasing one another whilst screaming at low levels. It was really difficult to count we started off with about 10 birds whilst we were at the Memorial Hall and then saw regular smaller parties all the way down Main Street. At some of the nest sites we saw birds going up to the nest holes and clinging on to the sides for a few seconds before then flying off yet again. This was happening at The Royal on both the front of the Cottage and again on the rear annexe building. A bird was seen to leave the original nest site on the right hand side of Cocking Yard, a site which was established and used back in 2013 and 2014. We also have received information from Jane that birds are also occupying the long established site on Hangings Farm. Also a bird was seen to leave a nest site from the front of the Manor House. Also of interest was again to see the Starling sentinel bird covering up the nest site hole on the bottom of the gable end, whilst at times the Swifts in a pair would deliberately head towards the nest site and just veer off at the last minute whilst screaming. You could actually see the Starling "duck" with his head has the birds approached. 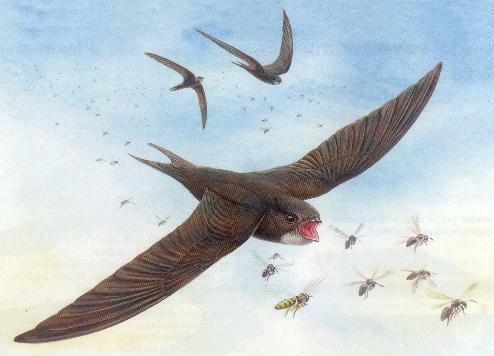 It also looked like Swifts were canvassing the small annexe to the right hand side of the Manor House. Tonights watchers included: David Craig, Edward Ellis, Reg Hesketh, Hugh and Sue Miles, Bryan Yorke.